Medha Saraswathi Homa is a special vedic performance done at select religious centers. Medha Saraswathi is known as a Swarupa of Goddess Saraswathi who is worshipped by the gods. This Homa is done on select days dedicated to Goddess Saraswathi / Goddess Shakthi. The Kartha and participants need to maintain high levels of sanctity during this homa. For more details, please contact Pureprayer now. 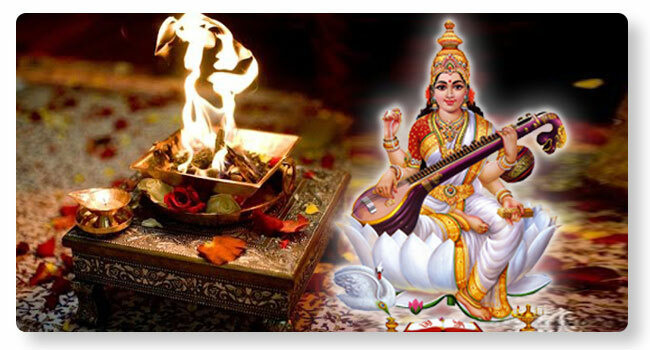 This homa provides the best celestial help to those who intend to be achievers. Helps clear all possible diversions due to planetary movements. Helps those who lack emptional support from parents or elders.